Hope and practical help for Lyme disease sufferers everywhere. More than 300,000 people in the United States are diagnosed with Lyme disease every year, and many, many more are suffering from Lyme without knowing it. Katina Makris was one of those undiagnosed individuals who nearly died from the disease. At the peak of her career, classical homeopath and health-care columnist Katina Makris was stricken with a mysterious “flu.” Only after five years of torment—two completely bedridden—and devastating blows to her professional and family life was Katina’s illness finally diagnosed as Lyme disease. 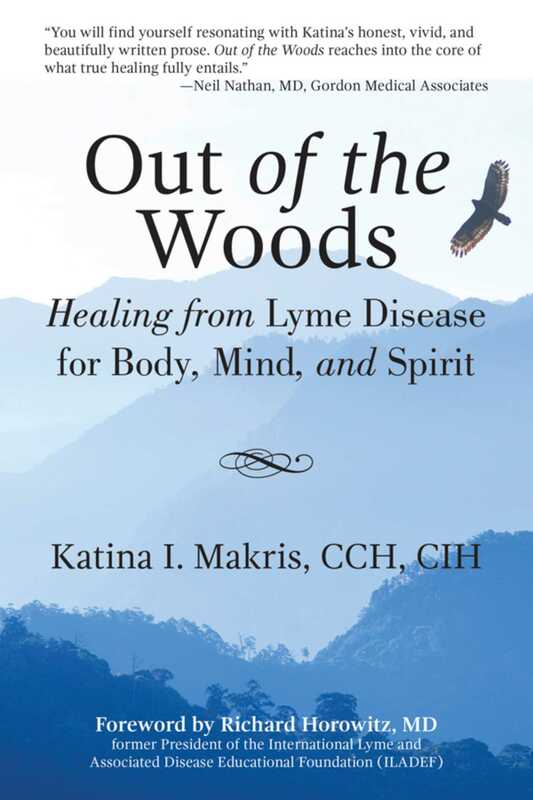 Out of the Woods not only shares the brutality of Lyme disease through the telling of Katina’s story, but it also describes her incredible journey back to full recovery, giving thousands of Lyme sufferers hope for their uncertain and frightening futures. Katina’s memoir is a gripping and inspiring story of healing through faith and perseverance, but Out of the Woods extends beyond Katina’s personal story. Putting her homeopathic training to work, Part Two of the book details the nuts and bolts of Lyme disease, offering readers up-to-date information on Eastern and Western treatments. Readers will learn about the importance of antibiotics as well as acupuncture, homeopathic remedies, energy restoration, and a path to emotional healing, affirming that complete healing from any disease encompasses body, mind, and spirit.